MILWAUKEE -- The docking area by Discovery World was the place to be for nautical lovers as the yacht of Jimmy John's founder Jimmy John Liataud and a U.S. Coast Guard's cutter were on display for people passing by on the lakefront to see. 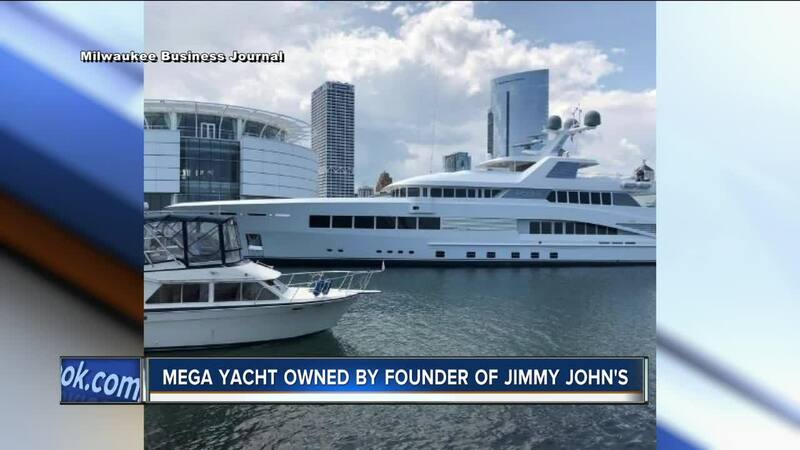 The Milwaukee Business Journal reports Liautaud's 198-foot yacht had docked itself by Discovery World Saturday evening as 600 Milwaukee-area business and community leaders were attending the "Ignite the Spark" Gala at the facility's new pavilion, The yacht remained parked at the dock until Sunday afternoon. Just across the harbor stood another massive vessel at the U.S. Coast Guard's cutter named Escanaba docked itself. This was part of the ship's tour of the Great Lakes this summer. The 270-foot ship is based in Boston and is used to intercept drugs coming into the United States from South and Central America. U.S. Sen. Ron Johnson toured the ship Friday. Escanaba is expected to head north Monday to Sturgeon Bay to be part of the city's annual Maritime Week celebration. For more on this story, visit the Milwaukee Business Journal's website.